This tutorial explains how to install letsencrypt SSL certificate for Apache web server on Ubuntu 18.04. Let's Encrypt is a non-profit CA with the goal of providing free SSL/TLS certificates to all websites on the internet. 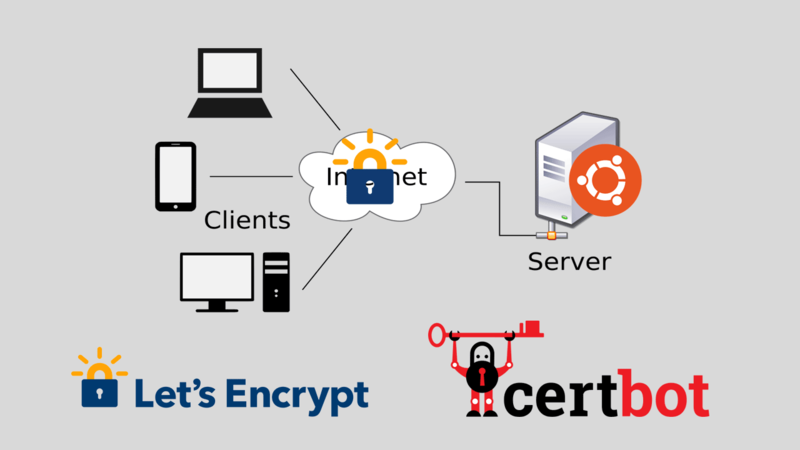 Let’s Encrypt provides trusted certificate through an automated process without any cost. To install letsencrypt certificate you need to have shell access to the server with administrative privileges. It is expected that Apache web server has been installed and that it is currently running. If Apache has not been installed already, install it by following the instructions given in following link. During the process, a new virtual host config for the SSL site will be created automatically based on the this configuration. DNS records should be pre-exist to prove the ownership of the domain name. Your website should point to the IP address of your Ubuntu server 18.04. Finally, it will ask to choose whether or not to redirect HTTP traffic to HTTPS. You should not redirect HTTP traffic to HTTPS at this point. So answer with 1 for No redirect. That is all we need to do! The config file is enabled by default, so at this point you should be able to access your website using the https protocol. This cron job will execute the certbot renew command in every 12 hours and will renew certificates that are near expiry. Just like that you can get free SSL certificate for all of your websites from the Let's Encrypt.